What is the best OBD2 Scanner for BMW? BMW cars are the ultimate driving machines, but even the best machines are prone to mechanical breakdowns. As the years go by, or as you use your BMW, the car is exposed to the harmful elements of the road. You also have to think about the weather. Can you imagine what road salt can do the undercarriage of your BMW, or how tropical heat might affect the electrical components of your car? If you need to work on your beloved Beemer, then you need to use the best OBD2 scanner for BMW. If you just bought a used BMW (or if you are planning to buy one), then you have to pay particular attention to the general condition of the vehicle. Check engine lights on a BMW are not uncommon. And when it happens, the car usually needs the attentive care of the dealership, which means you’re going to spend a ton on money to get the trouble fixed. German cars are very well made. There’s a reason why these cars are so expensive, and that reason is made apparent the very moment you slip inside the cabin. The materials used for the interior are top notch, the driving position is excellent and the ride is sporty yet comfortable enough to use in the urban environment. They are pretty refined, too. But you know what they say about expensive cars: they are expensive to fix. When something goes wrong, you can expect a hefty repair bill. But there is a way to save money on repairs. If the check engine light comes on, you should purchase an OBD2 scanner for your BMW. This simple device will help you to scan, read, diagnose and erase the specific error codes in your BMW. Remember, BMW cars are like computers with wheels. Each and every area of the car is monitored by the CPU, so they are complicated to fix. Dealers use a BMW-specific OBD2 scanner to do the job, but these tools are very expensive and can usually cost thousands of dollars. Being the smart mechanically-inclined person that you are, you know that you need the best OBD2 scanner for BMW that you can afford… And luckily these devices can be had for less that the cost of an oil change! The good news is you don’t need to buy an expensive scanner to get the best BMW obd2 scanner. We will give you a short list of tried and tested OBD2 scanners for BMW vehicles, along with a few helpful tips so that you can buy yourself the best OBD2 scanner for BMW. With a 20 pin adapter, you can connect to most BMW 1,3,5,6 etc series. Diagnose and fix the root cause of that CEL on your beloved BMW. With the Carly app, you can do a lot more than just monitor sensor data! 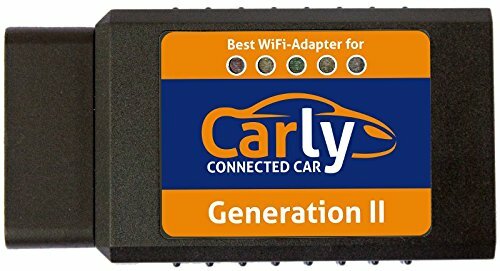 If you’ve been looking for an OBDII scanner for your BMW, you’ve likely heard of the Carly. The Carly really shines with it’s app. The Wifi Adapter worked well in our tests, but the Carly app really brings it to life. If you want to unlock the full potential of your loved BMW, look no further! Get your Carly for BMW here and start saving money! From running a full health scan, to folding the mirrors when you lock the car, the Carly has got some awesome features. You can also turn on welcome lights, set your speedometer to digital and turn warning lights off or on (like temperature, etc). See a full list here. Wireless connect your Android using Bluetooth and sync up to your BMW. View live engine and sensor data. 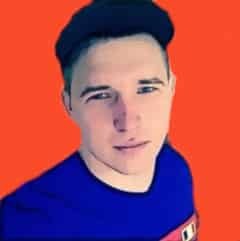 Read and Clear CeL lights! Utilizes an advanced ELM327 chip making it more reliable and faster than cheap China scanners. This relatively simple device is one of the best Bluetooth-powered OBD2 vehicle scanners for BMW vehicles. The ScanTool 427201 will transform any Android smartphone or tablet into a professional-grade automotive scan tool. Keep in mind, however, that this device is NOT compatible for Apple and iOS devices, since Apple products use a strict Bluetooth connection policy. 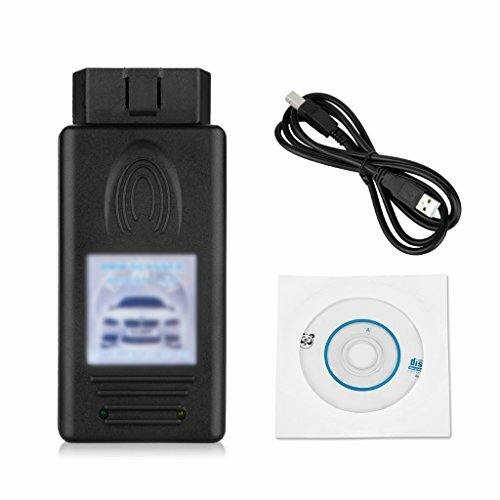 This small yet powerful scanner provides maximum vehicle coverage, and works on all 1996 and newer cars including light trucks sold in the USA. It is 4x faster than other Bluetooth scanners, so you can quickly perform specific tasks instantly, with no discernible lag. The ScanTool 427201 costs less than $$ when we wrote this review, and might be the best OBD2 scanner for BMW vehicles that we’ve tested. Find out why your check engine light is on before visiting the mechanic; save money by fixing simple problems yourself. See for yourself if your vehicle will pass smog/emissions test. Save money by fixing simple problems yourself. We’ll give it to you straight: if you are looking for an OBD2 scanner that is designed specifically for the BMW 3, 5 and 7 Series then look no further than the Scan Tool V1.4 Car Diagnostic Tool. This will work on the E38, E39, E46, E53, E83 and E85 including the BMW Z4. This is not your ordinary scanner or code reader. The Scan Tool V1.4 Car Diagnostic Tool can determine the chassis code, engine model and gearbox of your BMW. It also has live data capabilities so you can instantly see if your BMW will pass smog or emissions tests. For the price, you can’t beat this OBD2 BMW scan tool! 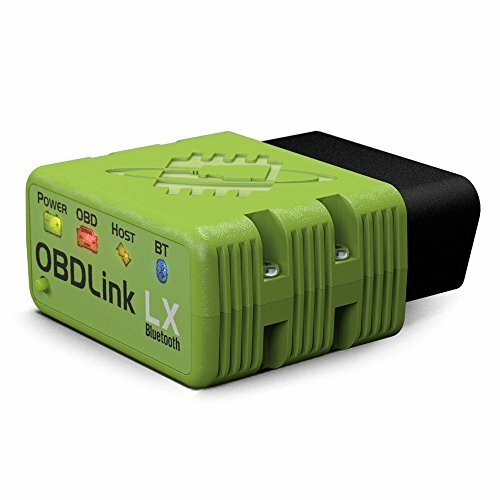 Low cost OBD2 scanner! Connects to your BMW using your iPhone OR Android. Scan, Clear and reset codes! 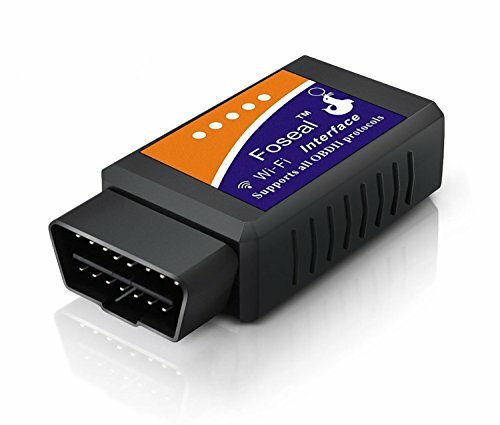 Finishing out our list of the best OBD2 scanners for BMW is the Foseal WiFi Wireless OBD-II Mini. This scanner is a great tool and a very popular code reader. It also works great on BMW! This tool is perfect if you want a wireless OBD-2 scanner that will work on Apple or iOS devices. It is designed to work perfectly on the iPhone 6S, iPad4 and iPad mini, but it also communicates well with Windows and Android. This BMW vehicle scanner offers a multifaceted approach to vehicle repair, as it can work on all your wireless devices. The Foseal can read diagnostic trouble codes, including generic and manufacturer-specific codes. But it goes a little further by giving you the ability to search for the meaning of the trouble code using the ieGeek database. From there, you can access more than 3000 generic code definitions so you can quickly determine the cause of the check engine light on your BMW. This magnificent device will also work on all known OBD2 protocols, including CAN-BUS, so you can use this on other model cars as well. For the price, the Foseal Wifi Wireless OBD-II Mini is hard to ignore. Note: the 2001 to 2006 BMW M3 E46 is not OBD2 compliant. Note: The 1998 to 2003 BMW M5 is not OBD2 compliant. Remember: The list of BMW OBD2 protocols is for reference only. You should check under the hood or consult the service manual to determine the specific OBD2 protocol of your BMW. After determining the OBD2 protocol, you can now move forward on finding your best OBD2 scanner for BMW. You can choose a wireless scanner that is powered by either Bluetooth or Wi Fi, or you can choose a more traditional wired scanner depending on your preference. Of course, since we are talking about saving money here, you also need to consider the cost of the scanner. BMW vehicles are a blast to drive, but they can be quite tricky to diagnose when the check engine light comes on. Make sure to determine the OBD2 protocol of your BMW before buying a vehicle scanner so you can avoid compatibility issues. And don't skimp on doing the proper diagnoses. Buy the best BMW obd2 scanner that you can afford, and your Beemer will thank you!